With the World Series over, Alex Rodriguez resumed his criticism of Major League Baseball and Commissioner Bud Selig for its investigation that led to a 211-game suspension that the Yankees third baseman is trying to overturn. In addition to a grievance filed by the players' union, Rodriguez filed a lawsuit against Selig and MLB that accused them of engaging in a "witch hunt." "I am deeply troubled by my team's investigative findings with respect to MLB's conduct," Rodriguez said in a statement Thursday. "How can the gross, ongoing misconduct of the MLB investigations division not be relevant to my suspension, when my suspension supposedly results directly from that division's work?" MLB suspended Rodriguez on Aug. 5 for violations of its drug agreement and labor contract, but he was allowed to keep playing pending a determination of the grievance. Arbitrator Fredric Horowitz has heard eight days of hearings, and the next session is Nov. 18. Speaking last weekend at the World Series, Selig praised MLB's investigative team, saying "I'm very comfortable with what they did and how they did it." "I've been in baseball now for 50 years," he said. "I thought I'd seen everything, but I hadn't." "It is sad that commissioner Selig once again is turning a blind eye, knowing that crimes are being committed under his regime," the three-time AL MVP said. "I have 100 percent faith in my legal team. To be sure, this fight is necessary to protect me, but it also serves the interests of the next 18-year-old coming into the league, to be sure he doesn't step into the house of horrors that I am being forced to walk through." 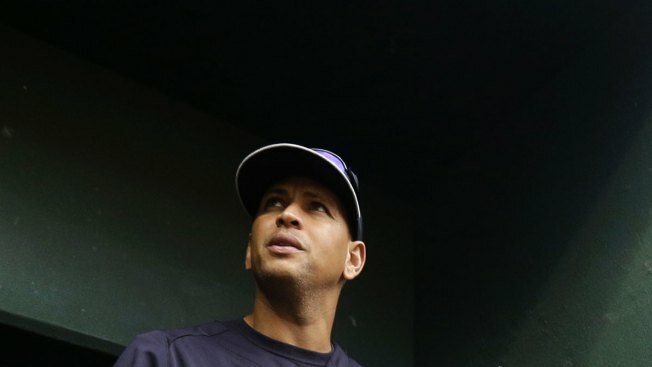 Rodriguez and MLB have publicly assailed each other for months. MLB accused Rodriguez of "possession of numerous forms of prohibited performance-enhancing substances, including testosterone and human growth hormone, over the course of multiple years." "This latest, sad chapter in Mr. Rodriguez's tarnished career is yet another example of this player trying to avoid taking responsibility for his poor choices. Given the disappointing acts that Mr. Rodriguez has repeatedly made throughout his career, his expressed concern for young people rings very hollow," MLB chief operating officer Rob Manfred said in a statement. "Mr. Rodriguez's use of PEDs was longer and more pervasive than any other player, and when this process is complete, the facts will prove that it is Mr. Rodriguez and his representatives who have engaged in ongoing, gross misconduct." One of Rodriguez's lawyers, Joseph Tacopina, responded by calling for Manfred to be removed from the three-person panel, chaired by Horowitz, hearing the slugger's appeal. "Alex did not use PEDs and Rob Manfred knows it. The fact that Manfred has committed so zealously to prosecuting Alex for offenses he knows he did not commit is why he persistently attacks Alex's character with baseless, cowardly allegations," Tacopina said in a statement. "With today's statements, Manfred clearly has hit a new level of desperation. He knows what his sworn testimony was on the subject of his and Commissioner Selig's approach to PEDs being dealt to children, and MLB's willingness to turn a blind eye to such criminal misconduct in support of its quest to get Alex. He knows he cannot run from his testimony forever. It will follow him the rest of his career — however long that may be — and he knows it is indefensible. Once it inevitably becomes public through other legal proceedings, he will have to answer for that. "Rob Manfred has gone so far over the line with his latest slanderous attack against Alex (which presumably was approved by Commissioner Selig) that we demand the other two arbitration panel members immediately remove Manfred from the panel hearing Alex's appeal. Indeed, we do not see how he can continue to hold any position of responsibility within Major League Baseball. But we will leave that to the conscience and judgment of the owners within the league." Major League Baseball, of course, responded with a statement that began: "Mr. Tacopina's latest rant is so delusional it doesn't warrant a response." "The fact that Mr. Tacopina has now asked for two of the three panel members to be recused tells you everything you need to know."